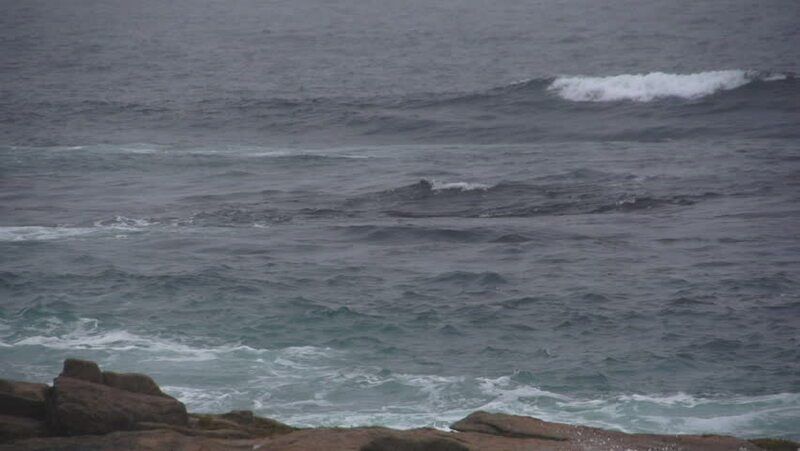 Slow-motion waves from the Atlantic Ocean break and crash over the large rocks of a rugged Nova Scotia coastline on a stormy day in St Margarets's Bay (near famous Peggy's Cove). sd00:25Chunks of ice float in a partially frozen river. hd00:22Dolphins Pods Ocean Mammal. A scenic view over a pod of dolphins in the ocean. The dorsal fins of the dolphins breach the surface as the mammals come up for air.